Planning to be an expat in Bolivia? Get informed before you go! Are you thinking of living as an expat in Bolivia? Hi. I'm Charis, and I own BoliviaBella.com (more about me here.) I've lived as an expat in Bolivia, and several other places, all my life (a little over 40 years). I've never known another lifestyle. If there's one thing I've learned about the expat life it's that no two people have the same experience, not even in the same family. So I wanted to share with you some thoughts, gathered from my own experiences and those of hundreds of expats in Bolivia and other countries in which I've lived and worked. I believe in brutal honesty when it comes to decisions like this - because most of us live as expats long term. While some of us are only planning to live abroad for a while, others of us give up everything to move to a new place and start our lives anew. I would like to invite you to listen to the following two-part webcast. 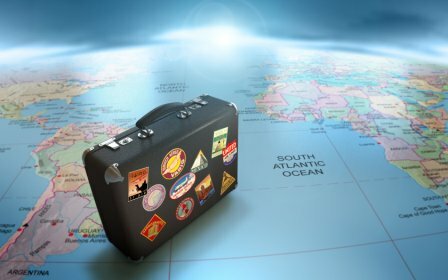 I was recently interviewed about life as an expatriate for a unique website called Reality Abroad. Its goal is to gather first-hand information, opinions and viewpoints from expatriates who already live abroad for people who are considering living abroad in an effort to help them make more informed decisions and choices. Each person or family will have a unique experience depending on their disposition to be resilient. So it isn't about whether or not we all have the same perceptions, opinions or experiences. It's about sharing many unique and even contrasting points of view so that others, such as yourself, can attempt to create a broad picture of a place they may soon call home. Turn up your volume and click the orange dots to begin. In Part One, I talk about some of the ways in which I've seen Bolivia change over the past 40 years and how my views as an expat in Bolivia have changed as well. In Part Two, I talk about what it's like to be an expat kid (otherwise known as third culture kids), and important questions every person considering being an expat in Bolivia should ask. Given that I've lived in Bolivia for a combined total of over 30 years, you may have been surprised at some of my responses in the above interview. Everyone... absolutely everyone... will have a different experience and perspective of being an expat in Bolivia and I'm no different. READ PAGE 2 of this 3-page article: Are you really ready to be a Bolivia expat? Before you move to Bolivia, or anywhere else abroad, ask yourself these ten questions.